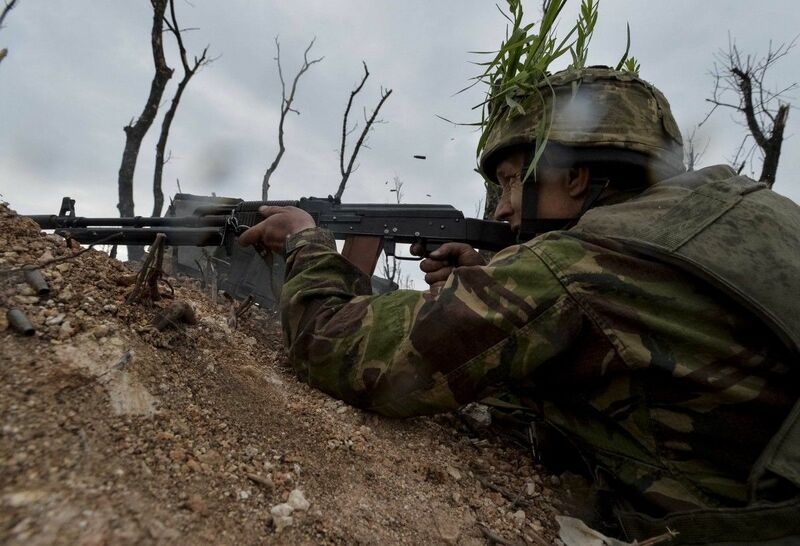 One Ukrainian soldier was wounded in action in Donbas hostilities in the past day, according to the Ukrainian Defense Ministry. "No Ukrainian soldier was killed in action in the past day, but one soldier received a light wound," Ukrainian Defense Ministry press secretary for Anti-Terrorist Operation (ATO) Oleksandr Motuzianyk said at a briefing in Kyiv on Sunday. Read alsoUkraine commemorates third anniversary of Ilovaisk tragedy (Video)"This happened not far from the village of Zaitseve [close to the militant-occupied town of Horlivka in Donetsk region] amid an enemy attack with the use of small arms," he said. As UNIAN reported earlier, Russia's hybrid military forces attacked Ukrainian troops in Donbas 26 times on Saturday, September 2, according to the press center of the ATO Headquarters. It was originally reported that there had been no casualties among Ukrainian soldiers.